Go along to this fun craft session at The Word where children can enjoy making a range of Easter themed crafts. It's the perfect way to keep your children entertained during the Easter holidays. Sessions are £1 per child, booking is essential. Tickets are available to purchase from Level 2 of The Word. Maximum 1 adult per child. Children under 8 must have an adult present. For more information on the latest events and exhibitions, opening times and directions, please visit The Word website. The Word is also available to follow on Facebook and Twitter. 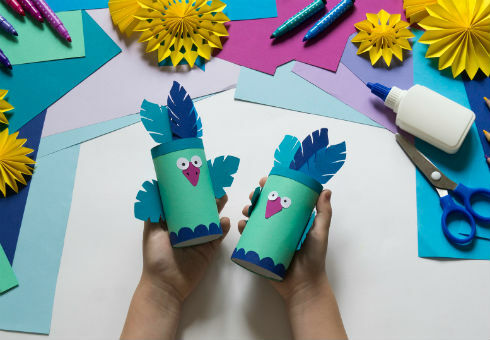 Children can enjoy fun craft sessions at The Word this Easter.